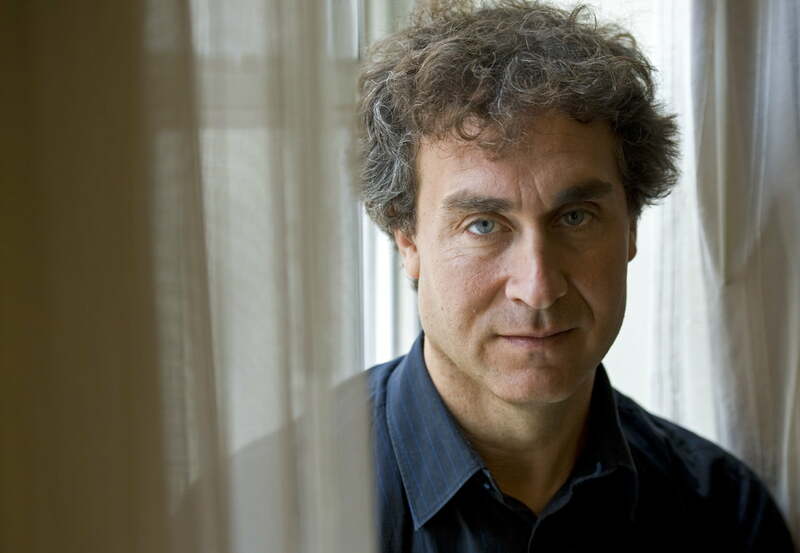 Director Doug Liman has been busy of late. 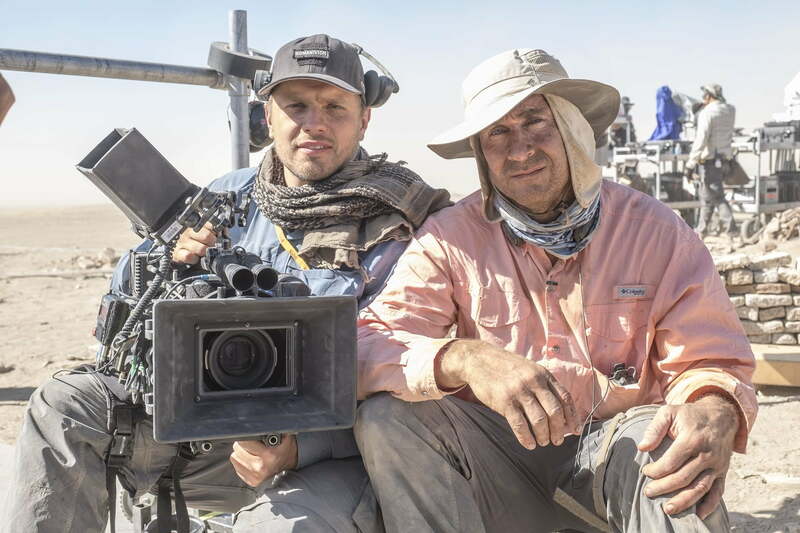 Best known for the The Bourne Identity, Mr. and Mrs. Smith and Edge of Tomorrow, the filmmaker has just wrapped up American Made with Tom Cruise and is in pre-production for Live Die Repeat and Repeat, the much-anticipated sequel to Edge of Tomorrow. Limon’s work in virtual reality can also be seen on Samsung Gear VR with Invisible, a narrative series that focuses on a powerful New York family that uses invisibility to retain its power. On August 15, Lionsgate will release The Wall on Blu-ray, DVD, and Digital HD, Limon’s first indie film since his 1996 cult hit, Swingers. 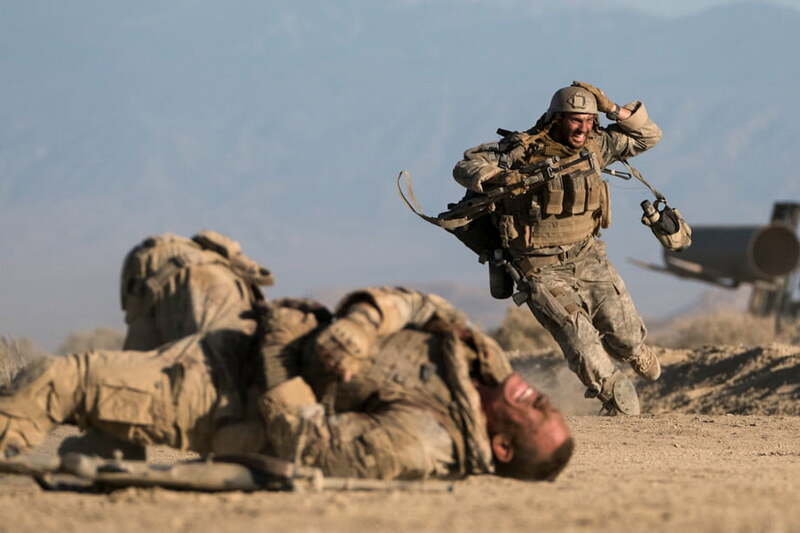 The fictional account of the Iraq War stars WWE crossover star John Cena and Golden Globe winner Aaron Taylor-Johnson (Nocturnal Animals) as a pair of American snipers who take on an Iraqi sharpshooter in the middle of a desert, protected only by a crumbling wall. Liman, who provides audio commentary with Taylor-Johnson on the home entertainment release, talks about his return to independent films, the challenge of topping Edge of Tomorrow with its sequel, and why he’s so excited about narrative VR in this exclusive interview. How did real-life stories from Iraq and Afghanistan soldiers impact the story you tell in The Wall? The Wall is not my first time making a movie about war in the Middle East. I made a movie called Fair Game, which was very much from the point of view of people in Washington. When I read the script of The Wall, I saw how much different the war looks from the point of view of a soldier fighting it. And that started a process for me of reaching out to soldiers and understanding — the best a filmmaker can — their spirit. I was amazed how many soldiers opened up to me. 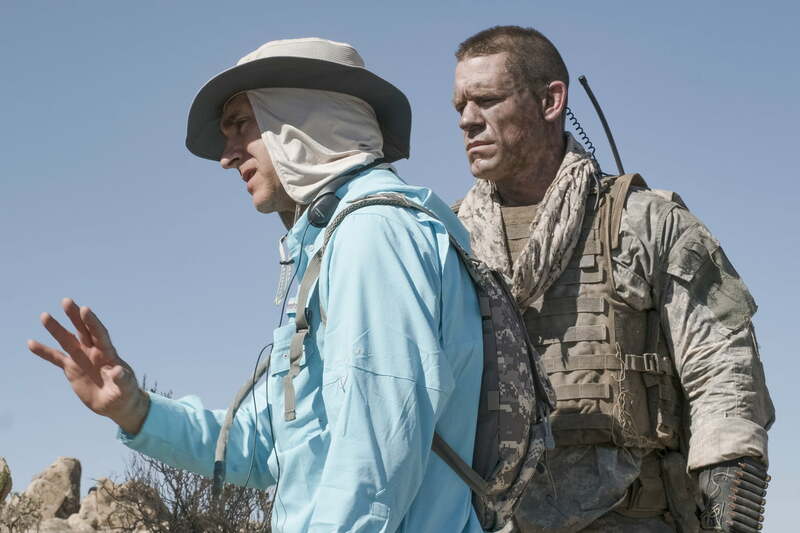 The Wall doesn’t recount a specific soldier’s experience in Iraq, but it captures the spirit of many experiences that were shared with me and with Aaron Taylor-Johnson and with John Cena. John Cena actually went abroad to Afghanistan during the war, and I was in Iraq during the war for Fair Game, and Aaron Taylor-Johnson spent time in Arkansas in a sniper training school. So in three different ways the stars and director of the film were immersing themselves in the lives and experiences of the men and women in uniform in an effort to create a graphically realistic portrayal of the experiences of being a soldier in combat. What was it like for you to explore this story from the perspective of the long-distance sniper experience versus the mano-a-mano close-up melee combat we’ve seen in the Bourne films? What’s amazing about sniper warfare is it seems like the kind of stuff that would be made up for a Hollywood film — shooting somebody with laser accuracy from half a mile away or longer. There’s a sniper motto that we cite in the film, “From a place you will not see, comes a sound you will not hear.” What that means is that by the time the sound of the gunfire reaches you, you’re already dead. And because I had explored close hand-to-hand combat in The Bourne Identity when you’re looking in the eyes of the person you’re killing, I was really interested in that psyche of trying to kill somebody you can’t even see in making The Wall; trying to kill somebody who’s so far away. What did having the on-going radio conversation between the U.S. and Iraqi soldier open up from a bigger picture perspective on war and terrorism? When you make a war movie, the other side has to be the enemy. You’re making a war movie from the point of view of a soldier fighting it. The other guy is trying to kill you, so he is the enemy. He is the terrorist. He must be killed, otherwise he’s going to kill you. So there’s no moral ambiguity when you’re ground level in the war. That being said, it was important for me to give a voice and humanity to the person on the other side of the war just to ever so slightly raise the point that this story could in fact be told from another point of view. 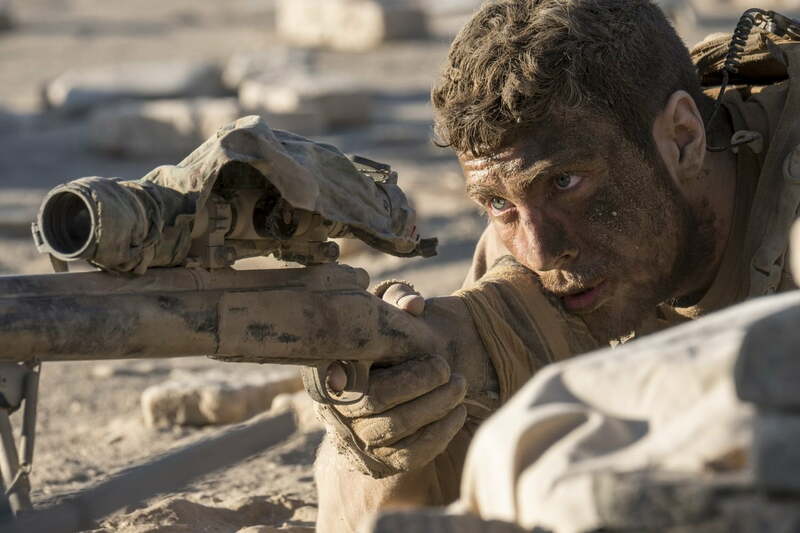 This is an English language movie by an American filmmaker and I’m telling you the story from the American soldier’s point of a view, but a different filmmaker could have told the story from the Iraqi sniper’s point of view in the same way. This is really my first independent film since Swingers, which follows a group of guys who are actually very insecure. As macho as they are about talking about girls, they’re actually really insecure and nervous around the girls. And there’s one moment towards the end of Swingers where I just give you a little window to show you that had we followed the girls instead of the boys, they’re also insecure … there was another version that could have been told entirely from Heather Graham’s point of view instead of Jon Favreau’s. I never want to copy myself as a filmmaker, but the genre is just so different that I wanted to, in the same way, just point that out to the audience that this was my decision to tell the story from this soldier’s point of view, but the story itself could have been told from another point of view. What’s the challenge of trying to raise the bar with the Edge of Tomorrow sequel after having such success and fandom around the original film? Talk about the sequel only really got serious when we came up with an idea that I fell in love with, a story that I wanted to tell. So that’s unlike certain movies, where the studio mandates to make another sequel and then suddenly you’re faced with the pressure of how do we top it. 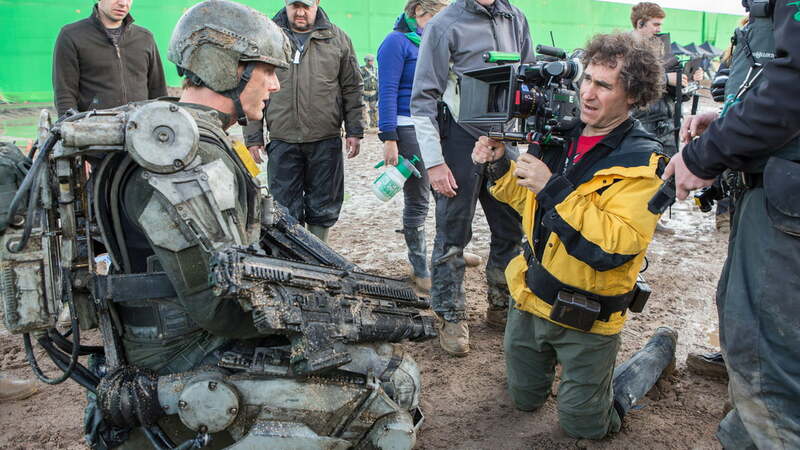 For Edge of Tomorrow we have an idea that I love, and that I think is stronger than the first movie. So, it’s not about topping it or not. It’s about the fact that it’s a great idea for a movie. It’s a great story. What did you learn about virtual reality as a storytelling medium having worked on Invisible and being a pioneer in that new narrative medium? I learned that there’s so much more to learn about telling stories in VR, and that’s what excites me so much about it because I think that Invisible is already such a leap forward in terms of narrative storytelling. By the time we were done making it, it became clear to me — and I’m sure other filmmakers — how much further you could go with the medium. VR is in this stage where progress is going to be really fast. Artistic mediums go through phases where progress happens really rapidly, and then other moments where it slows down. VR is in that moment where its progress is going to be exponential.